Born in Los Angeles in 1978, Tristan began pursuing street art as a teenager, painting everything from walls to billboards in the urban landscape wherever he lived, including London, Detroit and Brooklyn. After growing up on comic books, graffiti and skateboard culture, Tristan designed his first toy for Fisher Price at 18 years old and began working as an artist full-time. – Tristan´s got a stunning style and is one of the most versatile artists that I know. He masters everything from mural art, graphic-, logo- and packaging design to sculptures and the conformation of toys. That is quite an amazing range of creativity. I´m convinced that what Tristan creates for No Limit will be appreciated by a lot of people, says curator Shai Dahan. – Tristan´s manner really amazes me. The mixture of black&white with colours, lettering and the comic book styled characters really brings life and depth to his paintings. The line up for 2015 festival feels really top notch and I know that a lot of street art fans have been looking forward to see Tristan in Sweden, says project manager Stina Hallhagen. Shortly after studying at the School of Visual Arts in New York City, Tristan founded Thunderdog Studios, of which he was the President and Creative Director for 10 years. Thunderdog Studios regularly designs and consults for clients such as Nike, Disney and Barack Obama on projects that span the globe across all mediums. 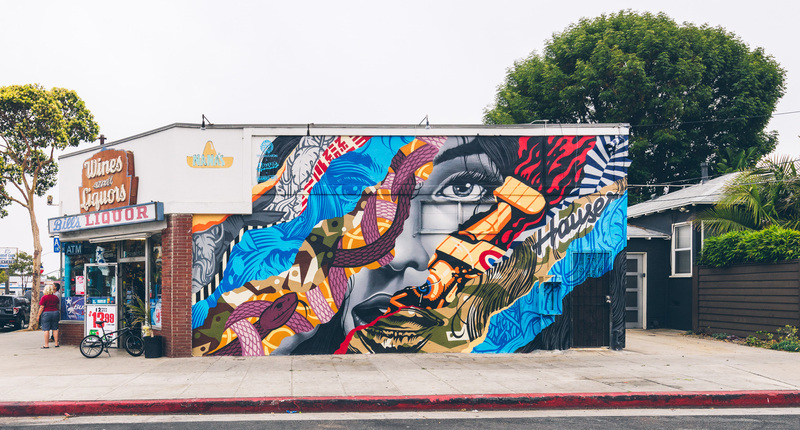 In 2012, Tristan moved back to his childhood home of Los Angeles to pursue his paintings and large scale mural projects full-time. Tristan’s work can be seen in galleries around the world and in the permanent collection of the New York Museum of Modern Art (MOMA). No Limit is an outdoor art event inviting artists from around the world to participate in turning public spaces into an outdoor exhibition. The event is about all kinds of street art, from large scale murals to street art sculptures and installations. No Limit first saw the world in September 2014. 2015 we´re doing it again. A warm welcome to Borås, Sweden 3-6th of September 2015. 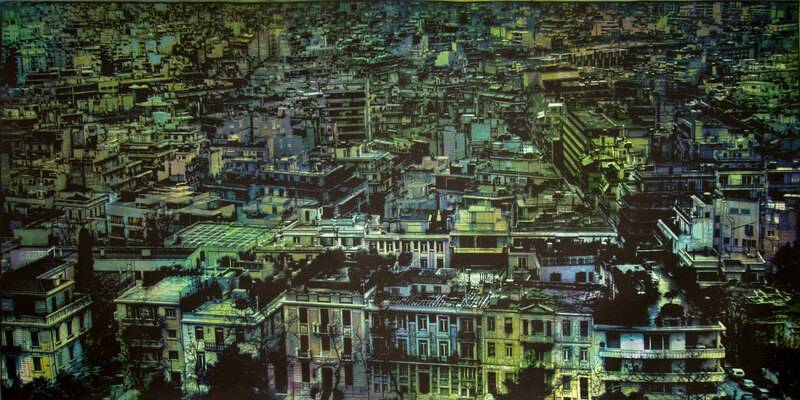 Logan Hicks is a New York-based artist known for his photorealistic stenciled paintings. Studying at the Maryland Institute of Contemporary Art in the early 1990s, Hicks cut his teeth as a successful screen printer, before being inspired to branch into stencils. Hicks moved to California to align with the Low Brow movement of the 90s, and concentrate on his fine art stencil work. Hicks relocated to Brooklyn in 2007 to continue his fine art. – Logan´s got an amazing art style. 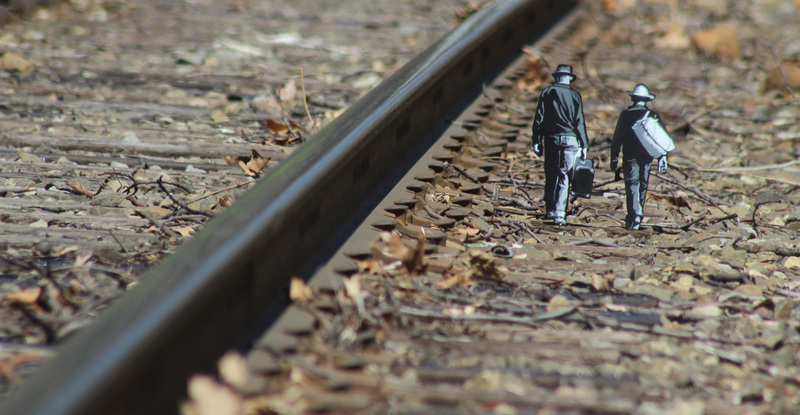 His photorealistic pieces are created with a stencil technique he has taken to perfection. Most people seeing his work for the first time supposes that it´s a printed photo rather than a stencil piece. As Logan is a great artist and we haven´t had a stencil artist before I´m really happy to have him in our line up for 2015, says curator Shai Dahan. – I really like that we could add yet another form of street art. We´ve got a great mix and the line up for this years artists is crowned by a real stencil king in Hicks. I´ve seen a lot of his pieces in photos but so looking forward to see work in progress in Borås. I´m totally convinced that Hicks will be admired by many during this years festival, says project manager Stina Hallhagen. Called a painter with a photographer’s eye, Hicks’ work has largely focused on the perception of the environment, at times humanizing its architectural angles and structures, and at others using its vastness to explore self identity. Hicks’ mastery has gained him world wide respect, and given the artist opportunity to create large scale murals in Istanbul, Miami, Baltimore, New York, Tunisia, Paris and beyond. Artists line up will be revealed continuously – stay tuned for further artists and more information. We´re happy to greet the warmer weather in the city of Borås. 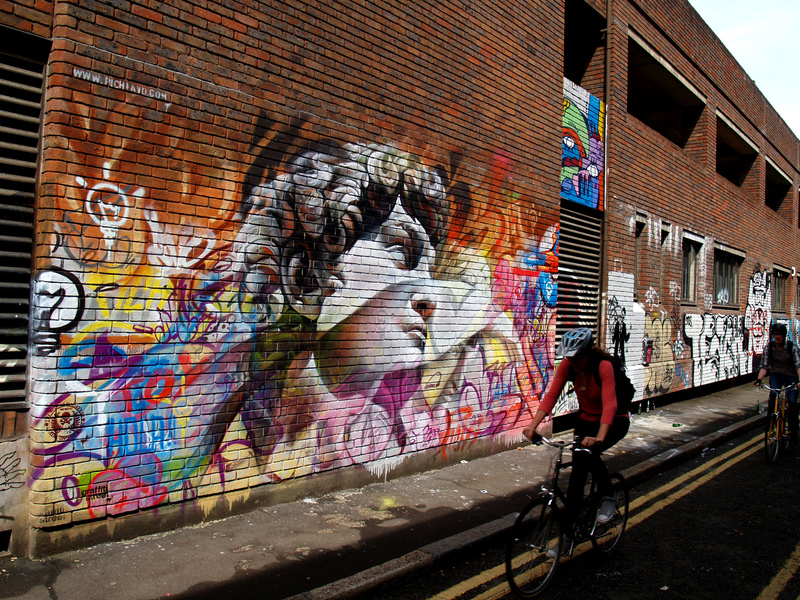 From April 18th to June 7th you could relive the moments of No Limit Street Art 2014. We´re arranging guided tours every Saturday and Sunday during the period. Tour starts at Textile Fashion Center (Skaraborgsvägen 3) and are free of charge. We´ll take you around the city (by foot, be sure to wear good shoes) to see the beautiful pieces from last years festival. Tour estimated to 120 minutes (2h). From Valencia- Spain, Pichi&Avo are one, fleeing from the self-centeredness of graffiti, united to create a single piece of work, two similar visions of the world are the result of their work, which is constantly evolving and taking them all around the world, like UK, Norway, Greece, Portugal, EEUU… Stroke, signatures, collage… explosions of colors that invade the subconscious, precipitated by the personal rant of their artistic ideology and an aesthetic widely argued in the texts of Walter Benjamin. – Pichi&Avo´s got a mixed style that they are unique with and really masters to perfection. The symbiosis of traditional greek imaging art combined with graffiti lettering, smashed with explosions of colours creates pieces that leaves no one untouched. During No Limit I wish I could be a little cherub in their mural watching the spectators astonished glances, says curator Shai Dahan with a smile. – I don´t remember my first words when Shai showed me the pieces of Pichi&Avo as a suggestion for the 2015 festival. But! I do remember the next thing, picture googleing like crazy. They´ve done everything from canvases, traditional murals to stacked containers. After seeing their earlier work I think many look forward to see what they could accomplish in Borås, says project manager Stina Hallhagen. Pichi&Avo recite a conceptually urban poetry, born from the artistic formalism of the street, using any artistic inventiveness that can be applied, transferring fragments of a wall to the canvas and vice versa in a personal version, viewers can expect a heady concoction of ancient and modern that remixes classics from art’s illustrious history and rewrites the rulebook in the process. Hailing from Wuhan, central China’s most populous city, Daleast depicts the tense relationship between contrasting worlds – the natural and artificial, the organic and the synthetic. His aesthetic strives to bring these seemingly irreconcilable binaries into coalescence. Although his trademark style – his metallic, monochromatic, sculptural figures – can now be experienced all over the world, his practice remains strongly influenced by Eastern philosophy, by the spirit and energy imbued in the natural world. – DALeast´s got a very characteristic style building his pieces of a kind of wire frame, often monochromatic or with very few colours. His art often has strong connections to the surroundings of the wall and usually portrays something from the animal kingdom. Though his fastidious use of colours the pieces he creates are very detailed, beautiful and fascinating to the spectator, says curator Shai Dahan with a smile. – The pieces of DALeast has a very spectacular manner that I think will attract many spectators. It´s like separate lines building up an enormous depth with a kind of three dimensional sense, that you just want to touch like as if you could feel the pieces and reach through the wall with your hand, says project manager Stina Hallhagen. Active in the burgeoning Chinese graffiti scene since 2004, Daleast was a founding member of the Wuhan-based artist project group Chirp, one of the earliest groups in China to merge public art and graffiti. He studied sculpture at the Institute of Fine Arts in his hometown, but quit the year before completing his degree after disagreeing with the school’s teaching methods. Moving to Beijing in 2009, Daleast began to focus more on what he sees as a public art rather than strictly graffiti practice, starting at this point to also produce fine art work for a more gallery based context. DALeast currently lives and work in Cape Town, South Africa. Joe uses layers of hand cut paper and spray paint to create texture and form – a modern adaptation of an old-fashioned printing process. His art is nothing more than the exploration and documentation of personal experiences. These are his stories and how he choose to tell them. The site-specific placements of the pieces often utilize the urban environment to complete their narratives. – Joe´s got an amazing way of integrating his art with it´s surroundings. Though it´s made with spray paint the pieces are thoroughly detailed and the shading is absolutely perfect. I think that Joe´s pieces will be loved by many and something that the visitors going to spend time to search for. I´m really looking forward to see some epic spots in Borås decorated with Joe´s work, says curator Shai Dahan. – The small “sculptures” of Iurato really appeals to me. There´s a significant touch of realism, like if they suddenly could come to life and start to interact with the wall, a stair or a fence. Like the pieces of Cordal last year, I think Joe´s figurines will the favorite objects to many, says project manager Stina Hallhagen. In addition to his public and gallery works, he also work commercially. Past clients include: Adidas, ESPN, Nike, the NBA, NBC’s Sunday Night Football, Sprite, The New York Racing Association, Mike Tyson’s Iron Mike Productions, and Space Ibiza/NYC. Joe lives in New Jersey. is arranged by Borås TME in cooperation with the Culture Department, The Municipality of Borås.